Mock neck longsleeve team top with shoulder cutouts. Please list color requests below. We will contact you with fabric options once you place your order. Team discounts are available for orders over 10. Mesh sleeve cropped liner. 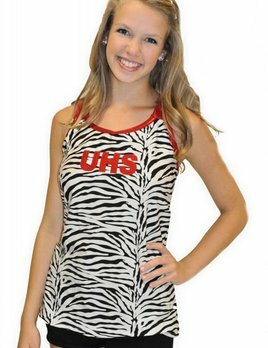 Made to go under uniforms, but can also be worn alone. Please write color requests below. We will contact you with fabric options once your order is placed. Team discounts are available on orders over 10. Scoop neck racer back team top with shoulder color contrast. Please write color requests below. We will contact you with fabric options once your order is placed. Team discounts are available on orders over 10. Scoop neck three color racerback team top. Please write color requests below. We will contact you with fabric options once your order is placed. Team discounts are available on orders over 10. Basic Straight skirt with attached shorts and side v cuts. Please write color requests below. We will contact you with fabric options once your order is placed. Team discounts are available on orders over 10. 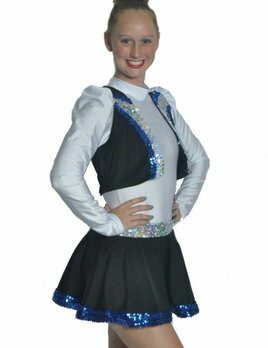 Straight team skirt with attached shorts, side slits, and accent trim. Write color preferences below. We will contact you with fabric option once you place your order. Team discounts are available for orders over 10. Scoop neck tank top with accent trim. Write color request below. We will contact you with fabric options once you place your order. Team discounts are available on orders over 10. Long sleeve side stripe liner with scoop neck. Please write color requests below. We will contact you with fabric options once you place your order. Team discounts are available on orders over 10. High neck tank dress with attached brief and keyhole back. Please list your color requests below. We will contact you with fabric options once you place your order. Team discounts are available for orders over 10. Multi-color drill dress with attached brief. Please write color request below. We will contact you with fabric options once your order is placed. Team discounts available on orders over 10. 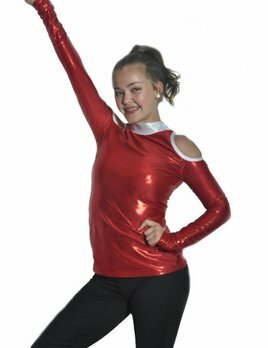 Three piece uniform including puff sleeve leotard, open vest, and skirt. Please enter color requests below. We will contact you with fabric options once you place your order. Team Discounts are available on orders over 10. Three color sequin scoop neck team dress with racer back. Please include your color requests below. We will contact you with fabric options once the order is placed. Team discounts are available on order over 10. 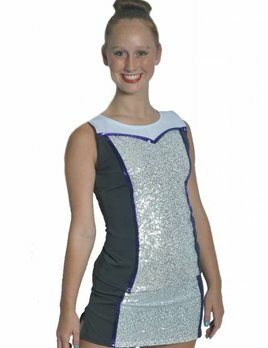 Two color sequin v neck team dress with racer back. Please include your color requests below. We will contact you with fabric options once the order is placed. Team discounts are available on orders over 10.